Motherhood has kept me quite busy here. Our school year thus far has consisted of: ear infections, nagging coughs that don't allow any sleep, and a black eye that my older son got at baseball practice. The irony of it all was that we cancelled his football registration because the coaches/parents seemed "too aggressive". (I totally sound like one of those parents don't I.) At his second winter baseball practice he was accidentally hit in the eye socket with a baseball. It was awful! My son had thought his eye popped out and was yelling that he was blind. We ended up staying over night in the hospital for observation because he had concussion symptoms. Thankfully, he is fine now and enjoys the attention at school. He makes sure to say, "Hi" to every person walking down the school hall and then waits for them to respond with, "What happened?" The story never gets too old for him to re-tell over and over again. 1) Use the template for the basic hooded scarf and cut out your pieces. 2) Decide how wide you want your mohawk to be and add 1" to the width for the seam allowance. Next, measure the length from front to back of the hood (curve and all). 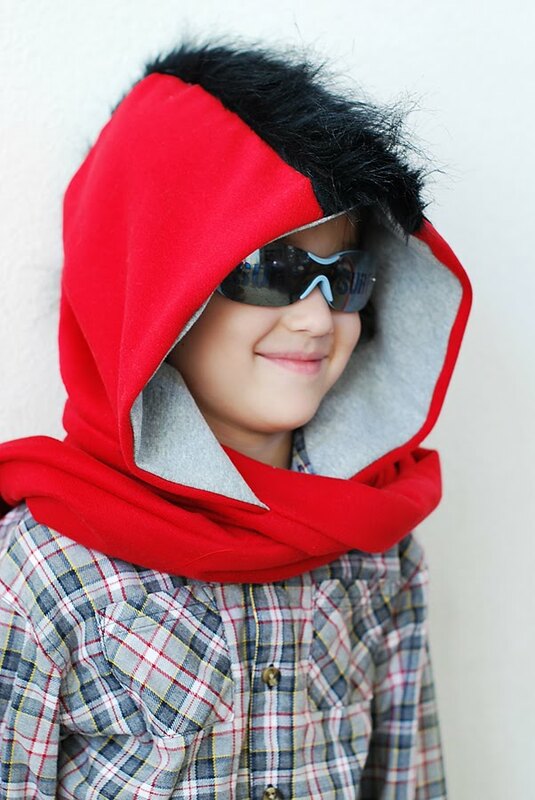 My measurement was approximately 22" because I extended the front of the hood by about 1" so that his older brother can wear the scoodie too. For the scoodie, I cut a piece of fax fur to measure 4" x 22". 3) Pin the fur side to the right side of the hood. 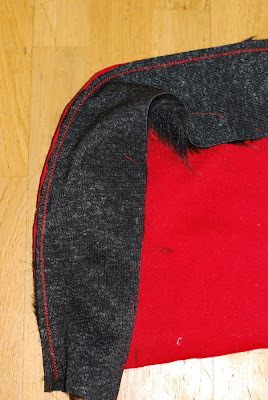 If the faux fur is on a woven fabric or doesn't have much stretch, you should stay stitch the hood fabric first (assuming the hood fabric is a knit). 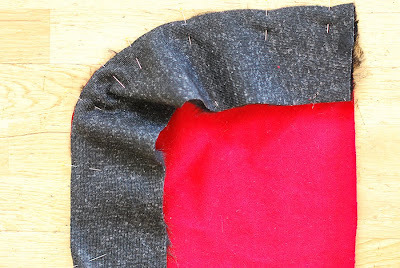 This will prevent the hood fabric from stretching as you sew. 4) Stitch the fur to the hood. I trimmed the excess fur after I stitched the other side of the hood to the fur. 5) Repeat with other side of hood. Stitch other hood to un-stitched side of faux fur. 6) Assemble lining the same way. 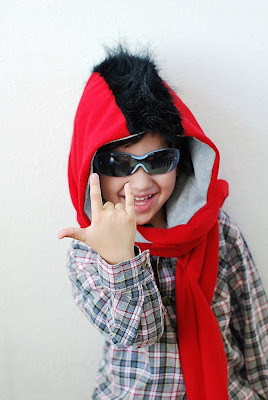 7) Follow instructions in the pattern for assembling the rest of the scoodie. 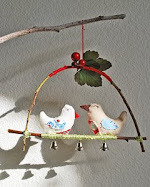 Here's a link to more shops that carry the pattern. too cute, my friend. I miss seeing you! My mom bought me a Jamie Cristina original (not knowing that I know you and read your blog!) It's a cute reversible apron with polka dots and eiffel towers and cute matching gloves!